I have gotten to work with a lot of make up artists in my day and Shelly is by far my favorite! Why? Because she has mad talent and she is a blast to be around. She brings an energy that I believe every bride and bridal party needs at their wedding. Event though she has great energy she also has a calmness to her – you can tell that the bride is in full trust that she is going to make her beautiful. 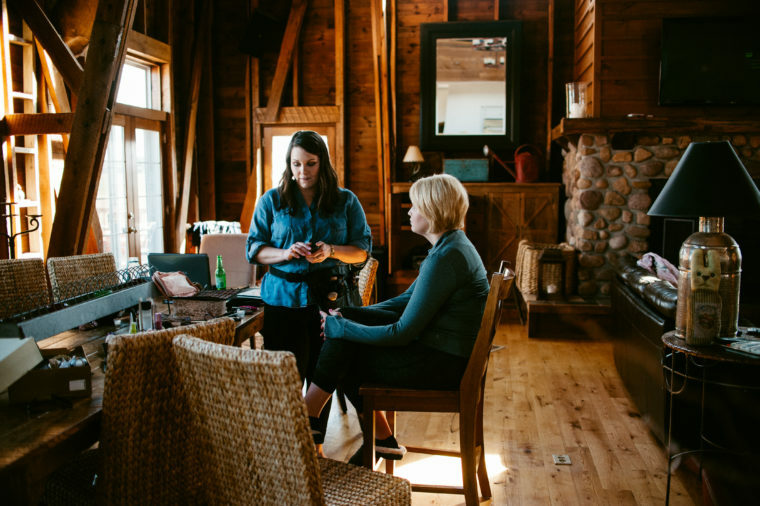 She did the make up for all the ladies at the Rad Retreat, and the ladies couldn’t have been happier – they all danced around with an extra pep in their step after they got all dolled up. If you are looking for a Make Up Artist you NEED to contact this girl – she will go on location! I became a Real Estate Agent with my families Real Estate business, Udoni & Salan Realty Group – United Country. I’m also the Director of Multimedia Communications where I handle all things creative marketing within our office! I’ve always had an entrepreneurial spirit that has helped me thrive as a responsible , passionate, and out-of-the-box thinker when it comes to my own endeavors. I’m lucky to have a great support system that has always helped and encouraged me to shoot beyond the moon, that I’m more than capable of doing anything I can dream up. If anything- the outpouring of excitement from clients and fellow business owners has been a pleasant surprise. Cleaning my makeup brushes?? I really love it all! What is some advice you would give a couple planning their wedding? 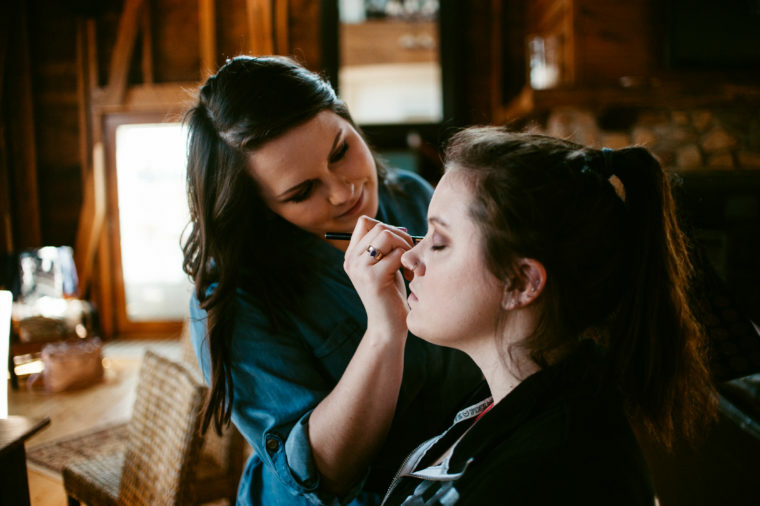 When it comes to brides and choosing a route to go for makeup, I would advise them to have someone professional take care of their makeup. It is the last thing they need to worry about on their wedding day. You deserve to be pampered on one of the biggest days of your life. 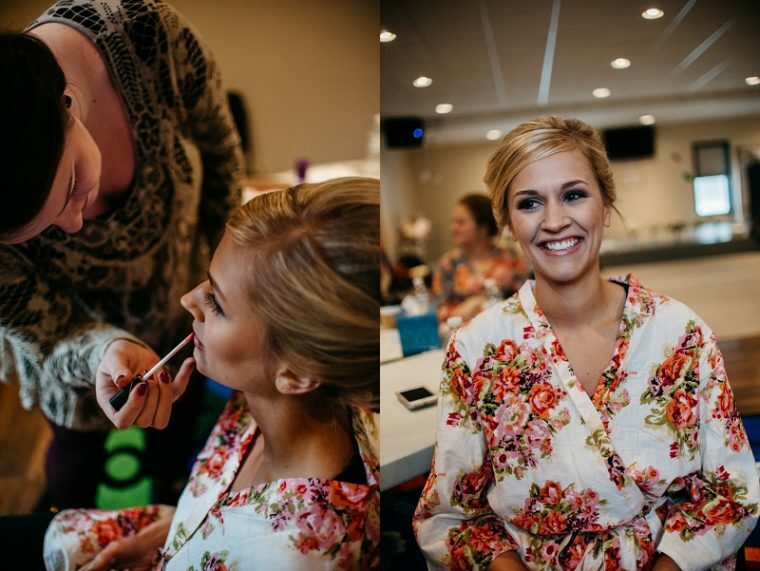 I would also highly advise a makeup trial with the artist to guarantee that they are comfortable and most importantly, excited about their makeup for the wedding! I would love to be engaged and planning my own wedding! I love planning- so planning a huge party with all of my friends and family sounds like a ton of (stressful) fun to me! I cant wait to be picking out flowers, little details, photographers, food, and maybe even my own makeup artist! Be confident. // I couldn’t agree more!